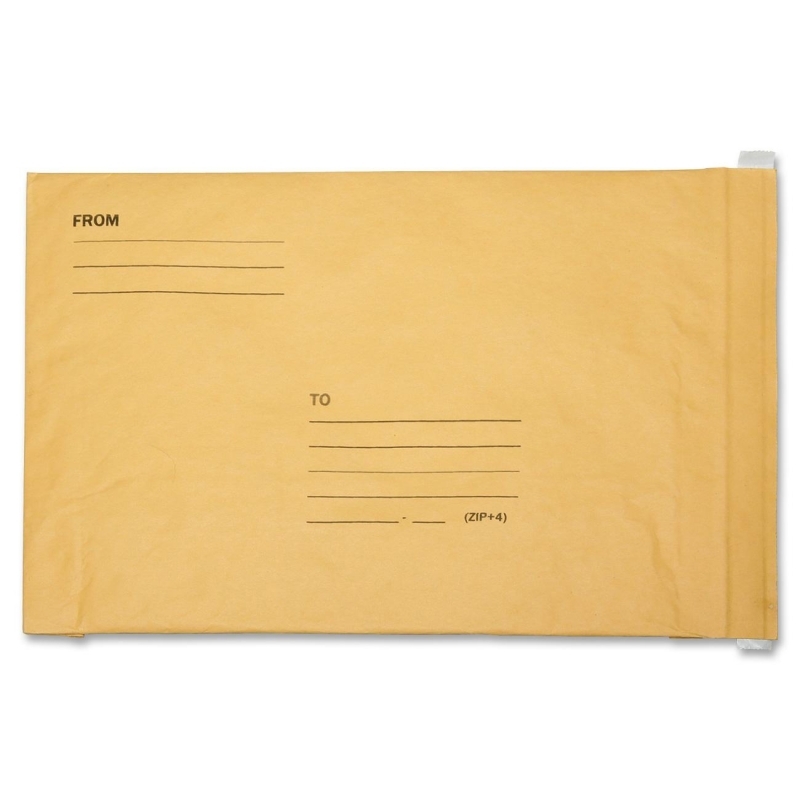 Cushioned mailers are made of macerated paper padding to deliver maximum shipping protection. Macerated paper design includes two layers of Kraft paper with a uniformed inner cushioning medium of macerated paper inserted between the layers. The outer layer of Kraft is water-resistant. A self-sealing flap extends the entire width of the sack and requires no moistening to seal. 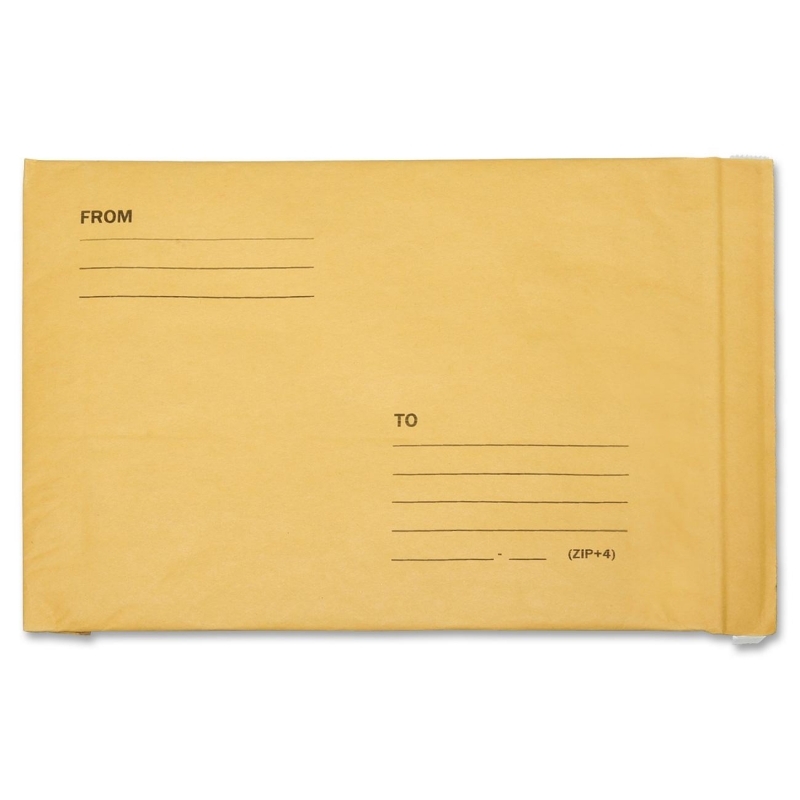 The mailer has an easy-open tear strip incorporated into the back of the sack. 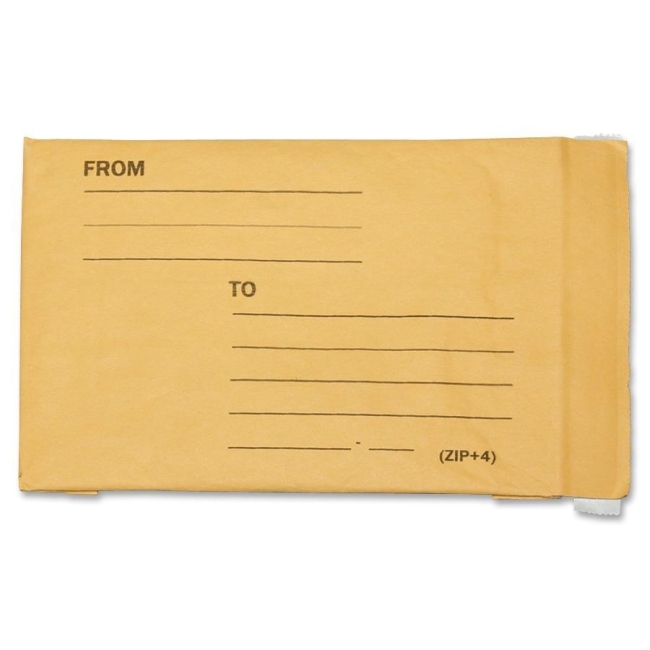 Each mailer is marked with TO" and "FROM" address notations. Double-folded corners and double-glued bottom flap afford additional edge protection and overall bag strength. Smooth inner liner and pre-scored flap allows easy product insertion and more efficient closure. Mailers are made using 100 percent post-consumer recycled waste material with 90 percent recycled paper and a minimum of 50 percent post-consumer recycled fibers.